Wild tales and rumors abound of the fabled and dangerous Isle of Fotia. However, whether they are stories to tell your fellow adventurers around the camp fire, or stories to tell your children (or grandchildren), no one has laid a foot on the island in many, uncounted ages. But that’s about to change. Oh yeah, get excited. Unless you’re a native Fotian. In which case, you should probably be terrified. Why, you might ask, skeptical Fotian? Well, there’s a gigantic supervolcano in the center of your island that is on the cusp of an eruption, which will hasten all life on Fotia to a very unpleasant conclusion. Duh. That was a stupid question. Shame on you. Of course, if you are a Fotian, chances are that you belong to the Femme Fatalities, and thus are too proud to be afraid. After all, you have the Frozen Flame on your side, an ancient artifact which contains the soul of your greatest queen. But you already know that, of course. I just said it for the benefit of everyone else reading, who I should probably get back to. Sorry about that guys. Amina, the leader of the Femme Fatalities, though proud and solitary, needs all the help she can get. The Frozen Flame is a fickle deity, and demands that homage be paid to it by people the world over. Only then, with the power of Lore’s supplications behind it, can the Frozen Flame curtail this whole extinction level eruption business. Just a word of advice though: you probably shouldn’t mention Dage while you’re on Fotia. That’s a lie. They’re definitely not over it. UPDATE: We made the Legion Soulseeker Quest pet have much better rewards than we originally anticipated when we gave the original price, as such the price has been raised in proportions with the rewards. Look for another Legion quest pet AND 2 full Legion ONLY sets to be released in the last week of June (MUST be in the Legion to buy them. There will be NO AC shortcut for non-Legion folks). 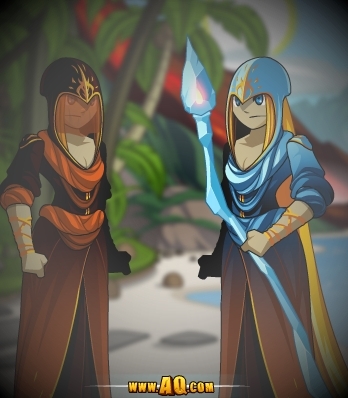 New items comin’ at you all with the force of an erupting supervolcano! That’s actually terrible. Everyone on that island could die. We shouldn’t joke about that, guys. Anyway, these items are hot hot hot! Among other things, there’s been an update to Dage’s item shop. 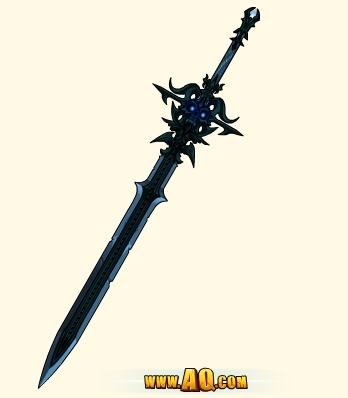 Grab yourself some of Dage’s finest! Also, if you do a good job, maybe the Femme Fatalities might honor you with gifts forged from the heart of the volcano. See if you can get yourself a Firelit Reaver, or maybe a Magma Protector. Also, IMPORTANT: Daimyo’s birthday shop will become unavailable tomorrow, and Captain Rhubarb’s 10th anniversary shop moves to /pirates on Monday. Get the rare items while you still can, and know that some of your favorite pirates' gear will be here forever! Alina note: the Chaos War map has been temporarily removed while we investigate the increased lag and unexpected log-outs. The map will return once we know more. I'm on vacation next week! Reens is going to run the crew this week while Cysero helps out with Project Omni. I will be hiking in the mountains to take amazing background reference pictures for J6, then flying across the country to break open various shellfish with big hitting implements. See you in a week, Heroes!